The judiciary (also known as the judicial system or court system) is the system of courts that interprets and applies the law in the name of the state. The judiciary also provides a mechanism for the resolution of disputes. Under the doctrine of the separation of powers, the judiciary generally does not make law (that is, in a plenary fashion, which is the responsibility of the legislature) or enforce law (which is the responsibility of the executive), but rather interprets law and applies it to the facts of each case. This branch of the state is often tasked with ensuring equal justice under law. It usually consists of a court of final appeal (called the "Supreme court" or "Constitutional court"), together with lower courts. In many jurisdictions the judicial branch has the power to change laws through the process of judicial review. Courts with judicial review power may annul the laws and rules of the state when it finds them incompatible with a higher norm, such as primary legislation, the provisions of the constitution or international law. Judges constitute a critical force for interpretation and implementation of a constitution, thus de facto in common law countries creating the body of constitutional law. In the 1980s, the Supreme Court of India for almost a decade had been encouraging public interest litigation on behalf of the poor and oppressed by using a very broad interpretation of several articles of the Indian Constitution. Budget of the judiciary in many transitional and developing countries is almost completely controlled by the executive. The latter undermines the separation of powers, as it creates a critical financial dependence of the judiciary. The proper national wealth distribution including the government spending on the judiciary is subject of the constitutional economics. It is important to distinguish between the two methods of corruption of the judiciary: the state (through budget planning and various privileges), and the private. The term "judiciary" is also used to refer collectively to the personnel, such as judges, magistrates and other adjudicators, who form the core of a judiciary (sometimes referred to as a "bench"), as well as the staffs who keep the system running smoothly. After the French Revolution, lawmakers stopped interpretation of law by judges, and the legislature was the only body permitted to interpret the law; this prohibition was later overturned by the Code Napoléon. In common law jurisdictions, courts interpret law, including constitutions, statutes, and regulations. They also make law (but in a limited sense, limited to the facts of particular cases) based upon prior case law in areas where the legislature has not made law. For instance, the tort of negligence is not derived from statute law in most common law jurisdictions. The term common law refers to this kind of law. In the  The judicial system, whether state or federal, begins with a court of first instance, is appealed to an appellate court, and then ends at the court of last resort. Japan’s process for selecting Judges is longer and more stringent than the process in the United States and in Mexico. Assistant judges are appointed from those who have completed their training at the "Legal Training and Research Institute" located in Wako City. Once appointed, assistant judges still may not qualify to sit alone until they have served for five years, and have been appointed by the Supreme Court. Judges require ten years of experience in practical affairs, public prosecutor, or practicing attorney. In the Japanese Judicial Branch there is the Supreme Court located in Japan, eight high courts, fifty district courts, fifty family courts, and 438 summary courts. In difference, Mexican Supreme Court Justices are appointed by the president, and then are approved by the Senate to serve for a life term. Other justices are appointed by the Supreme Court and serve for six years. Federal courts consist of the Supreme Court with 21 magistrates, 32 circuit tribunals and 98 district courts. The Supreme Court of Mexico is located in "Mexico City. Supreme Court Judges must be of ages 35 to 65 and hold a law degree during the five years preceding their nomination. In the United States Supreme Court, justices are appointed by the president and approved by the Senate. As in Mexico, justices serve for a life term or until retirement. The Supreme Court of the United States is located in "Washington D.C". The Federal court system consists of 94 federal judicial districts. The 94 districts are then divided into twelve regional circuits. The United States consist of five different types of courts that are considered subordinate to the Supreme Court, U.S bankruptcy courts, U.S Courts of Appeal for the federal circuit, U.S Court of International Trade, U.S Courts of Appeal, and U.S District Courts. The main one which is in Washington D.C or called is titled ''Judicial Branch'' which passes new law. ^ Cappelletti, Mauro et al. The Italian Legal System, page 150 (Stanford University Press 1967). ^ Royal v. Cook, , 984 So.2d 156 (La. Ct. App. 2008). ^ American Bar Association (2004). How the Legal System Works: The Structure of the Court System, State and Federal Courts. In ABA Family Legal Guide. ^ The American Legal System. ^ Public Services Department. "Introduction to the Courth system". ^ Mosleh, Peter. "Japan's Judiciary". Southern Methodist University. Retrieved April 20, 2013. ^ "The Japanese Judicial System". Retrieved April 20, 2013. 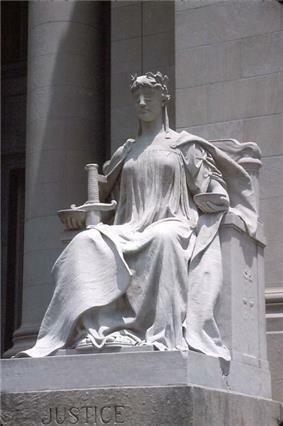 ^ "Mexico-Judicial Legislative". Retrieved April 20, 2013. ^ "The Judicial Branch". The White House. Retrieved April 20, 2013. ^ "Federal Courts". Retrieved April 20, 2013.